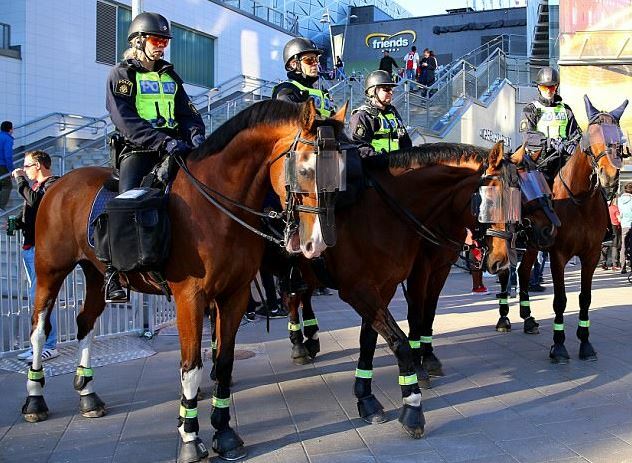 Swedish police have called in officers on horseback to tackle a series of robberies of children by criminal gangs in a Stockholm suburb. Around ten children aged eight to 15 have been mugged by what has been described as gangs of teenagers in Nacka, south-east of Stockholm, in recent weeks. The masked attackers have been threatening their victims with knives and forced them to hand over everything from mobile phones to cash and their jackets.